One of my all-time favorite books to read with my class is Number the Stars by Lois Lowry. I love the drama, the foreshadowing, the cliff hangers, the character development, the chapter titles, the plot, the ending, and so much more. It is always one of my students’ favorites when we discuss the best books at the end of the year. My only issue with teaching it was the lack of background information I was giving my students on what was happening in the world at the time of this novel. It is SO incredibly important for the students to understand who the Nazis were and why there were controlling the Jews. This is not developed in the book, except for random facts here and there, so I knew I needed to do something to help my students get a grasp on the events that were happening in the world at the time. So of course, I went to trusty PowerPoint 🙂 After doing a bit of research on my own, I created a PowerPoint presentation on World War II, Adolf Hitler, the Nazis, and the Holocaust. I think that it does a good job of presenting the information in a “kid-friendly” way, with photographs and important details. Last week, I went through the presentation with my kiddos, and I swear they have never been so quiet, interested, and attentive! I’m not sure if it was because they were interested in the material or were horrified at what actually happened in our world not that long ago, but whatever it was, they now understand what was happening to the Jews in the 1940s. We talked about how we can learn from the past and pray that something so terrible is never repeated. We thanked God for His grace and mercy to us! I’d love to hear your thoughts on this wonderful novel. What kinds of activities do you do with your class to enrich the story?? 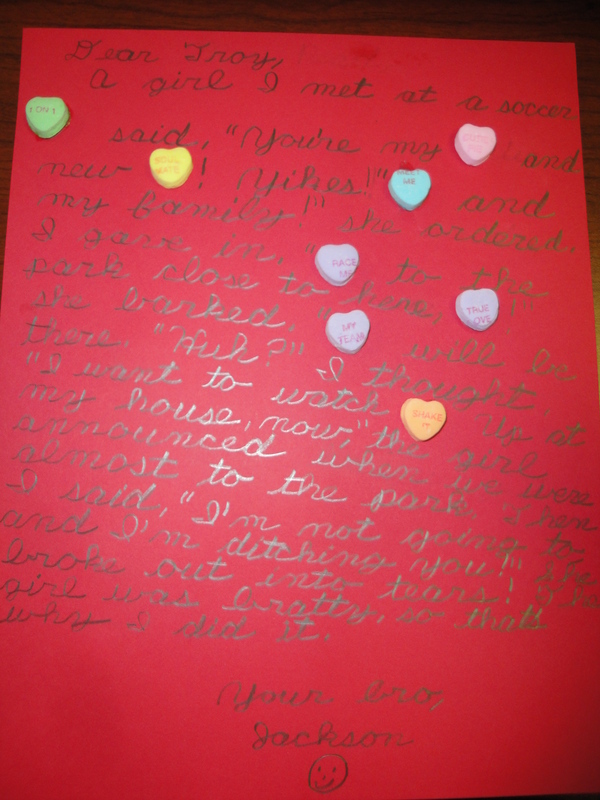 Last week on Valentine’s Day, I wanted to do a fun writing activity with my kiddos. 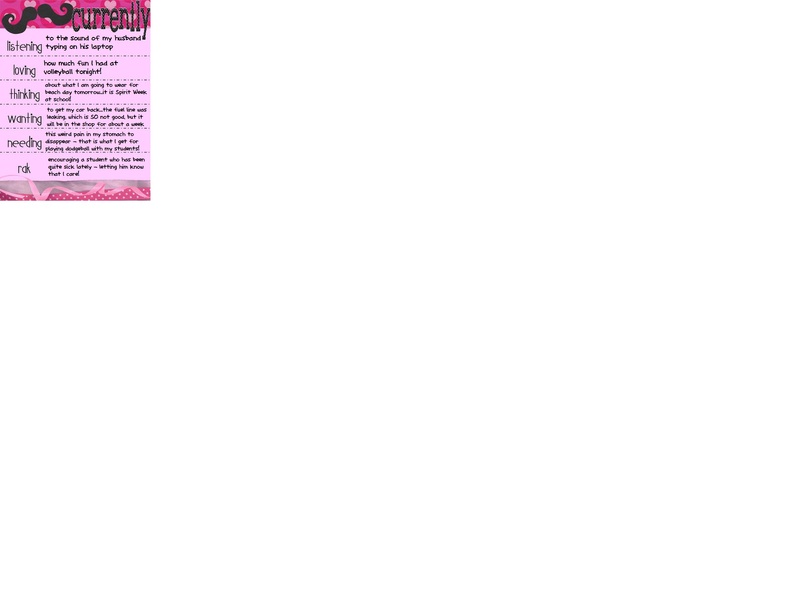 After a bit [ahem, an hour] of searching on Pinterest, I tweaked some ideas I saw and came up with Sweetheart Writing! Each student was given 6-8 Sweetheart candies…you know, the ones with the sayings on them like “hug me” or “sweetie pie”…as well as a piece of red cardstock and a glue bottle. 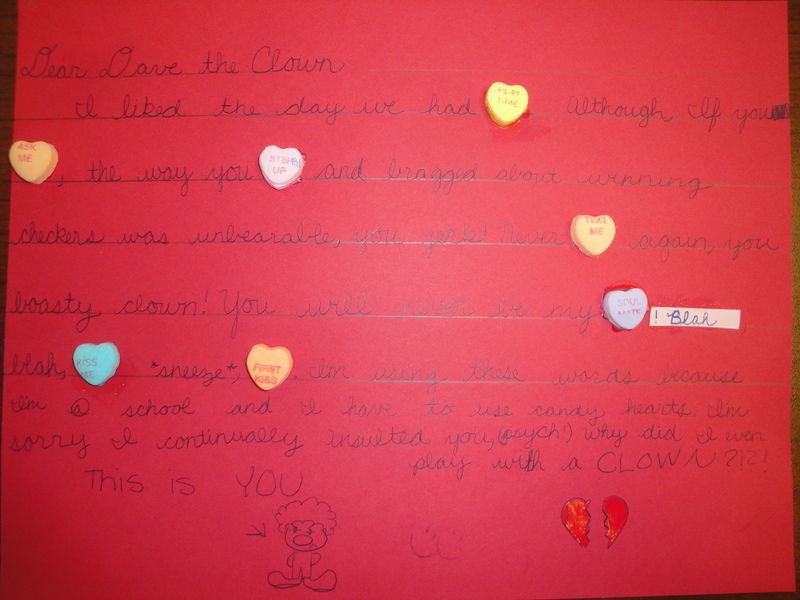 The goal of this assignment was to write a letter to someone using all of your conversation hearts. 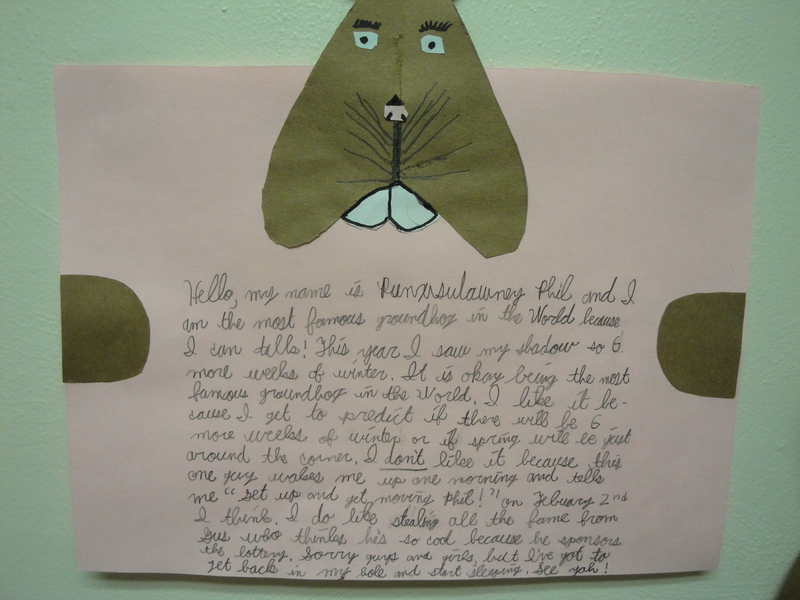 Some kids wrote serious letters to their parents; others wrote silly letters to imaginary characters. 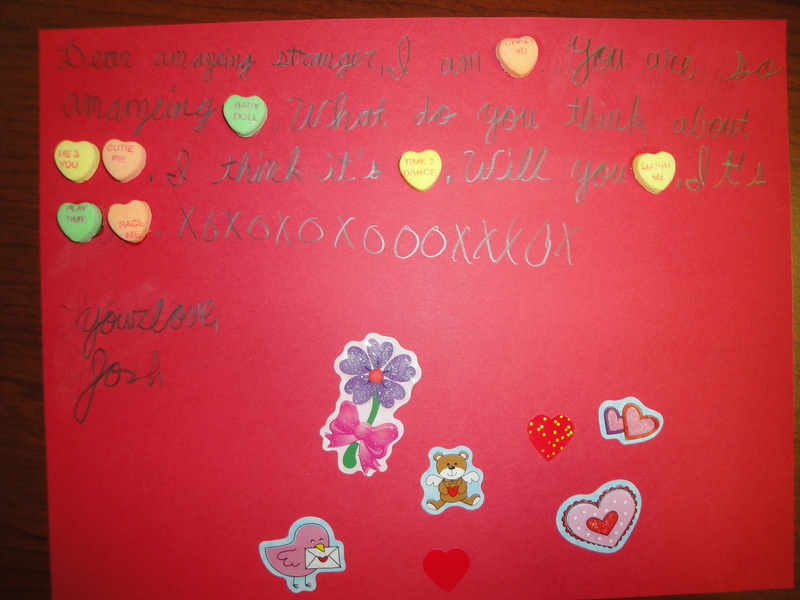 One student wrote a break-up letter, another wrote a real love letter to a “stranger”! So as you can see, they did a great job and were quite creative with how they used the hearts. One of my favorite things about Valentines Day in 5th grade is our service project. Rather than purchasing store-bought Valentines for everyone in the class, we had parents send in supplies to make Valentines to send to the kids at Children’s Hospital of Pittsburgh! We spent one afternoon spread out on our carpet using pink and red card stock, sequins, ribbons, and LOTS of stickers to create cards for the kiddos who might not otherwise receive them. We really tried to focus on loving those who might not feel God’s love and I hope my students understand how much their cards will mean to the kids who received them! 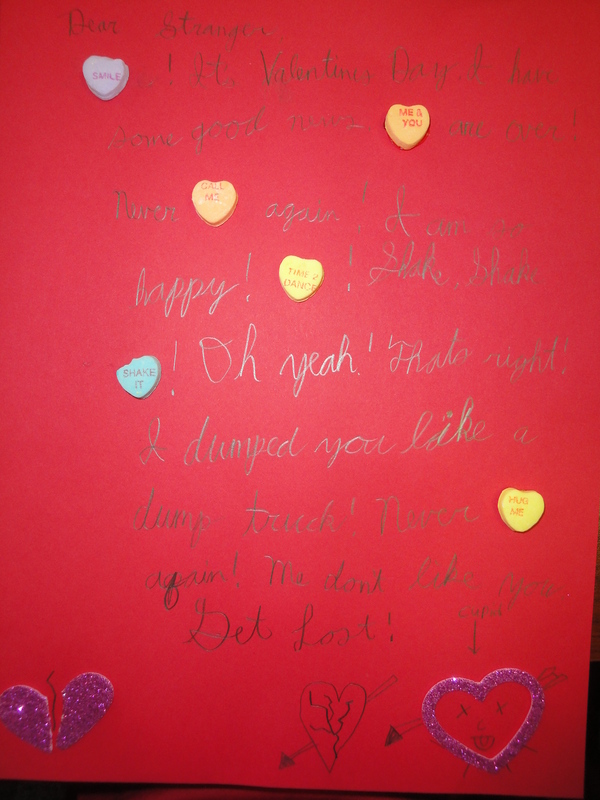 What do you do with your 5th graders for Valentines Day? 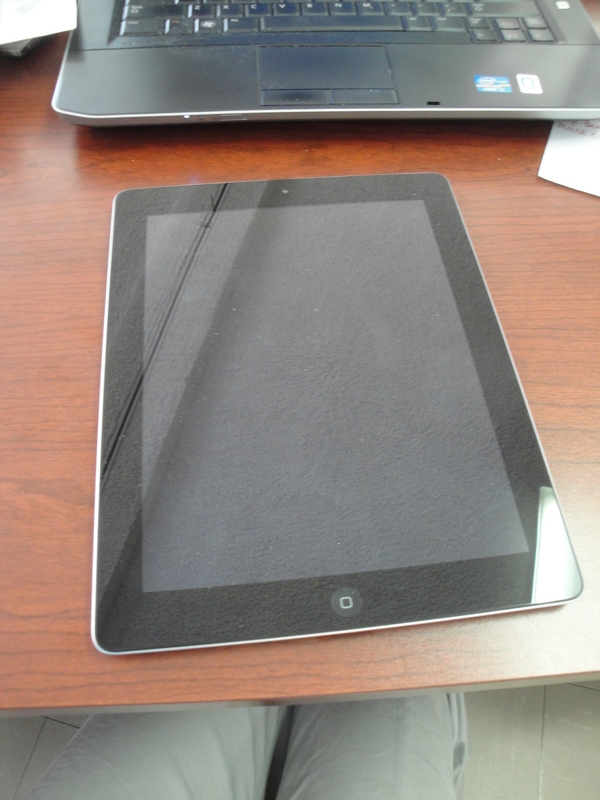 I find that as they get older, it is harder to do the crafts and games that are so popular in the younger grades. Do you have any fun ideas?? Fifth grade is a difficult year to find fun activities to do for holidays that aren’t too juvenile but still worthwhile. After some searching and combining ideas, I came up with this! I gave the kids a page of facts about Groundhog Day to read for morning work. They had to highlight three or more facts that they learned or found interesting. 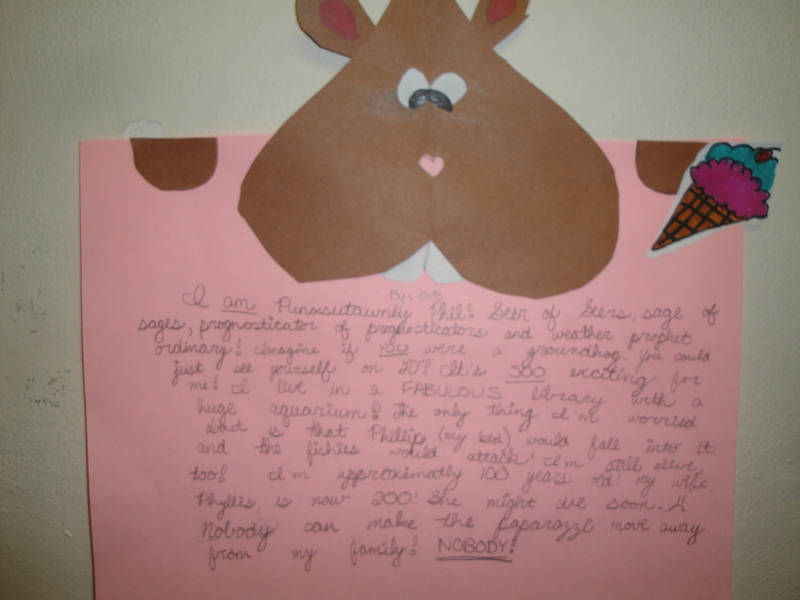 Lots of kiddos thought it was cool that Punxatawney Phil actually lives in a library during the year! Many of them also didn’t know that Punxatawney is really not too far from our hometown of Pittsburgh. Later in the day, after discussing the interesting facts that they found, I wanted to do a quick, fun, yet still educational Groundhog Day craft. So I pulled together several ideas that I had seen on Pinterest and on various blogs. 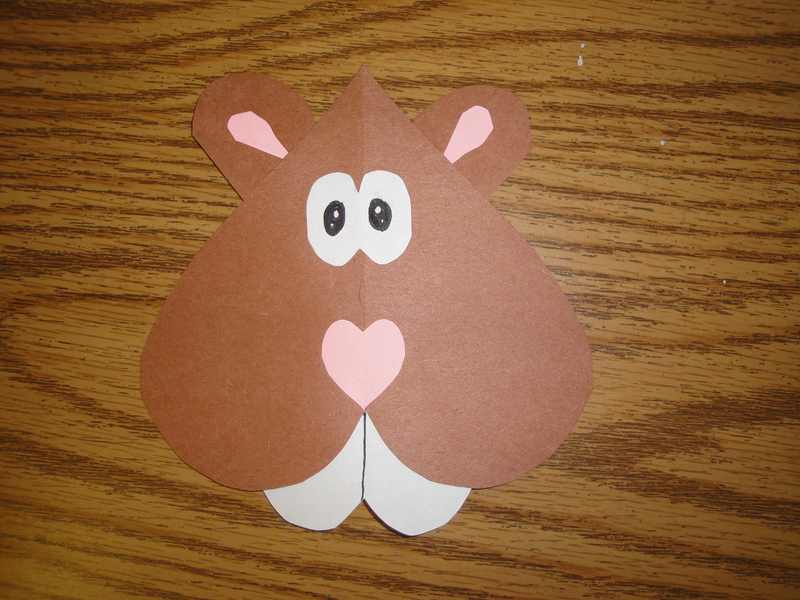 We created the head of a groundhog by using lots of different hearts – an upside down large brown heart for the head, a medium brown heart cut in half for the ears, a medium white heart upside down for the teeth, and some used a small pink heart for the nose. They had fun adding eyes, whiskers, and other features to the face! After decorating the face, the students cut out two brown “paws” and glue the groundhog head and paws to the top of a piece of pink paper. On the paper, they wrote a paragraph from the perspective of Punxatawney Phil describing what they like/don’t like about their important job. These turned out great! Some of them were so creative 🙂 Here in PA, we have a groundhog who advertises for the Pennsylvania Lottery named Gus, “the 2nd most famous groundhog in Pennsylvania”. Several of the students referenced Gus in their paragraphs, talking about how Gus is jealous of them or they wish they had lots of money like Gus! So funny! Anyways, I was really pleased with this activity. It didn’t take up too much time and included several important academic skills as well, such as following directions, writing in first person, and sharing with the class. 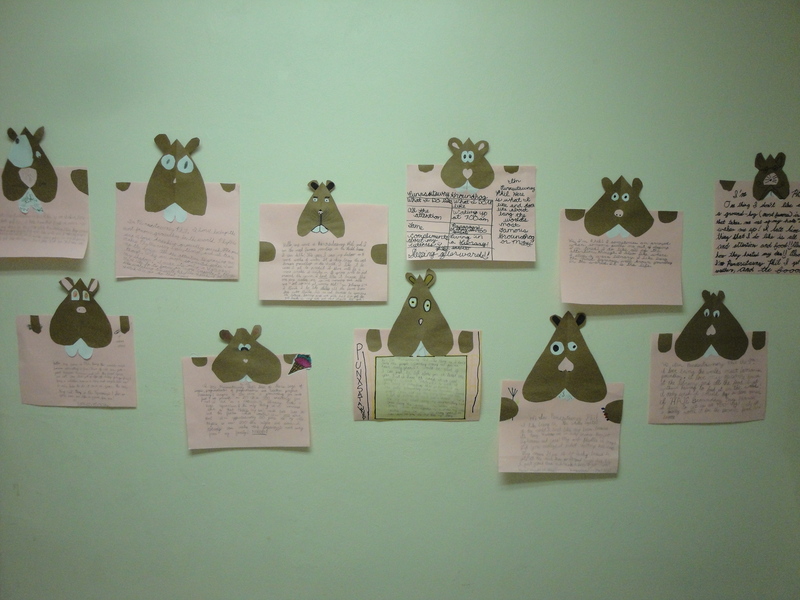 They had a blast creating their groundhogs and I loved seeing how different they all were! Did you do anything fun on Groundhog Day?? As I mentioned, this week is our Spirit Week. Its intention is to break up the monotony of winter and add a little pizzazz to the bleakness – and boy does it work! 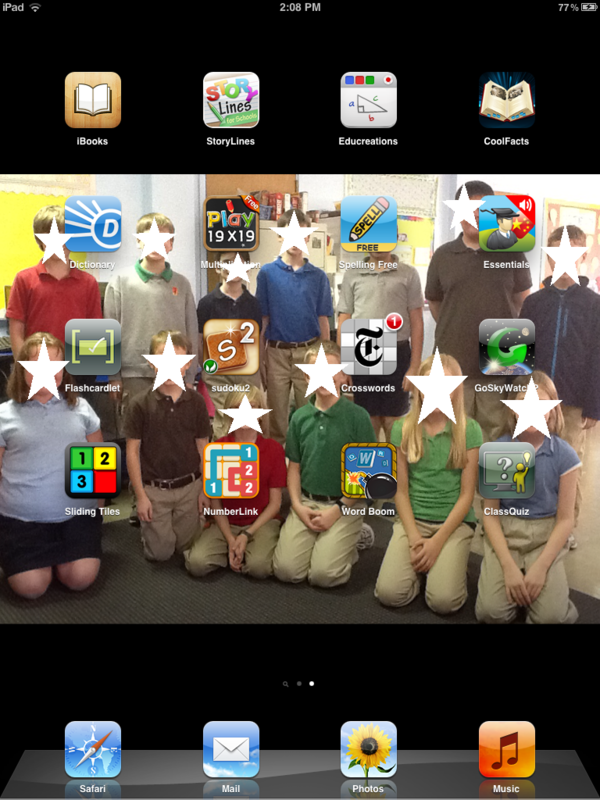 My kiddos have been super excited this week, however this has also led to a lack of focus. Oh well – you win some, you lose some. Anyways, yesterday was Pajama Day, my most favorite day of the year!! I loved loved LOVED wearing my comfy pjs and slippers to school. I would seriously wear them every day if I could 🙂 We enjoyed milk and cookies at the end of the day while I read them a “bedtime” story (my choice – Skippyjon Jones in Mummy Trouble – so good!). We brought our favorite stuffed animals and enjoyed cuddling with them throughout the day. Today was Clash Day and you should have seen some of these outfits! They went all out, as did I of course. Did I mention that the teacher with the “most spirit” wins a sleep-in day? Yeah, I went all out! Pictures will be posted at the end of the week once all 5 days are complete. We voted for a King and a Queen of clash in each class and the winners paraded around the school for all of the classes to see. Everyone looked great! Tomorrow is beach day, Thursday is favorite holiday day, and Friday is school spirit day. I look forward to seeing what the rest of the week brings, hoping that we can stay more focused and involved in the learning! One last thing – in order to tie in an “educational” aspect to Spirit Week, each day I give the students a writing prompt that relates to the theme of the day. They must respond to the prompt with at least 5 complete sentences (although most usually write more!) and illustrate their paragraph. For example, yesterday’s question was “If you could stay up ALL night, what would you do?” Most kiddos said that they would play video games or watch TV. Clash day was a tough one, but here’s what I came up wtih: “Combine two animals to make one. Draw a picture of your animal, name it, and write a paragraph describing your animal.” They turned out great! We had everything from a snish (snail + fish) to a turphant (turtle + elephant). I like doing this as morning work during Spirit Week and allowing the kids to share later in the day. They enjoy it as well because they can be so creative! So does your school have a Spirit Week? What is your favorite spirit day? I mean, really, does anything beat pajama day?!? !